Social and environmental sustainability were key elements in DISSING+WEITLING’s vision for The Future of Sustainable Social Housing – FBAB. 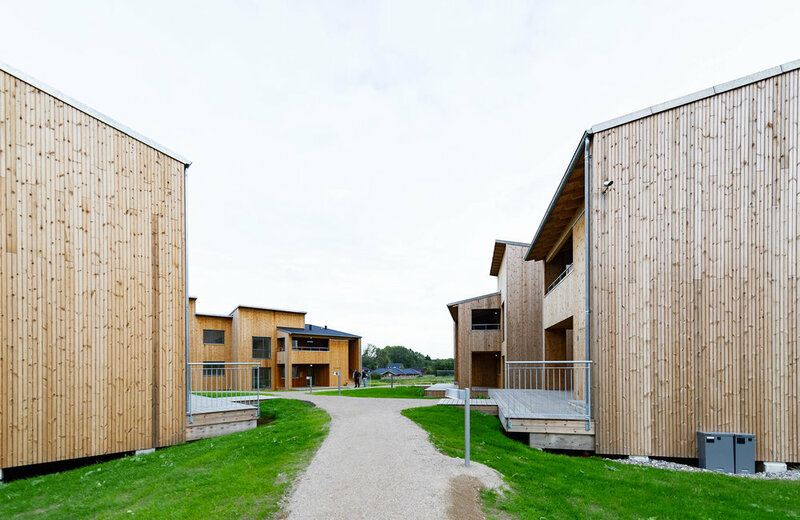 Located in the small town of Seest near Kolding, this cluster of 35 affordable family homes was created to co-exist in harmony with the surrounding natural environment – an essential aspect of our vision for the project. We based our vision for the project on the fundamental concept that our physical surroundings create a strong foundation for a thriving community. And a thriving community is essential for great liveability. Amongst other aspects, there is a communal house at the heart of FBAB, where both formal and informal networks can flourish and neighbours can meet and socialize. FBAB is built on a site with a tumultuous past. In 2004, a fireworks factory exploded and left the large site deserted. Over the years, a diverse ecosystem has reappeared, and FBAB marks the beginning of a new chapter on the importance of sustainability and a sense of community. Together with landscape architects MOVE, we sought to interweave the cluster of homes and the naturally grown landscape into a symbiosis. Environmental sustainability is visible in our choice of materials. 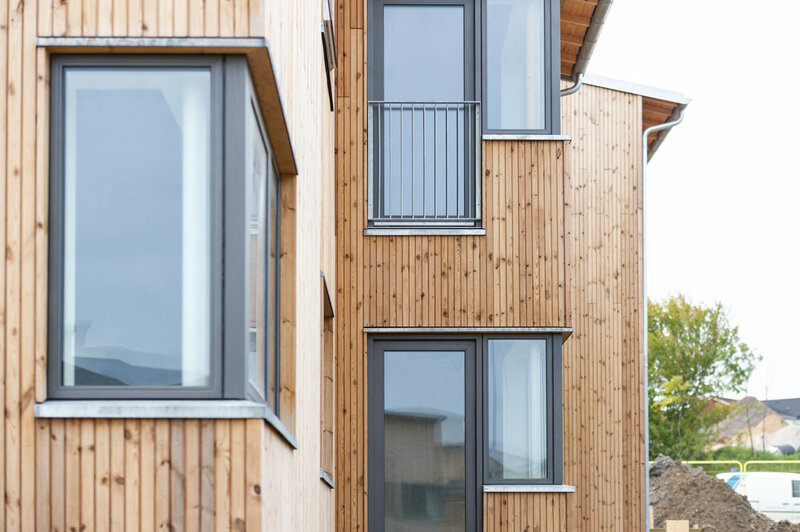 Environmentally friendly wood has been used throughout the buildings – in foundations, facades as well as in other structures. 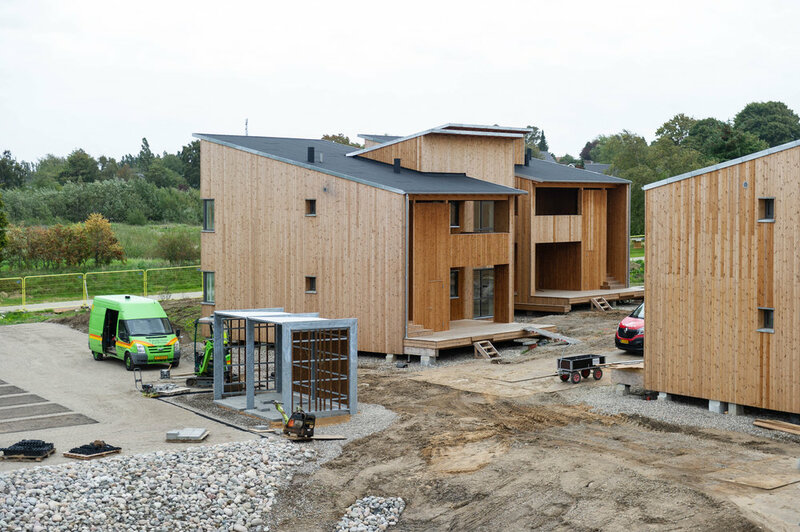 In a sense, we have returned to the traditional Danish way of building houses – although reimagined in a new and sustainable context. We won the project through a prestigious open competition to envision a highly sustainable social housing area issued by the Danish government in 2014. FBAB is currently under construction with completion expected for 2018. De prisvindende familieboliger i træ markerer en ny måde at tænke almene boliger på. De er tegnet med stort fokus på social bæredygtighed og fællesskab. Boliger og landskab fletter sammen i en ny helhed, der giver optimale muligheder for nye fællesskaber. Husene er et eksempel på, hvordan DISSING+WEITLING architecture arbejder med social og ressourcemæssig bæredygtighed i alt fra koncept til materialevalg. 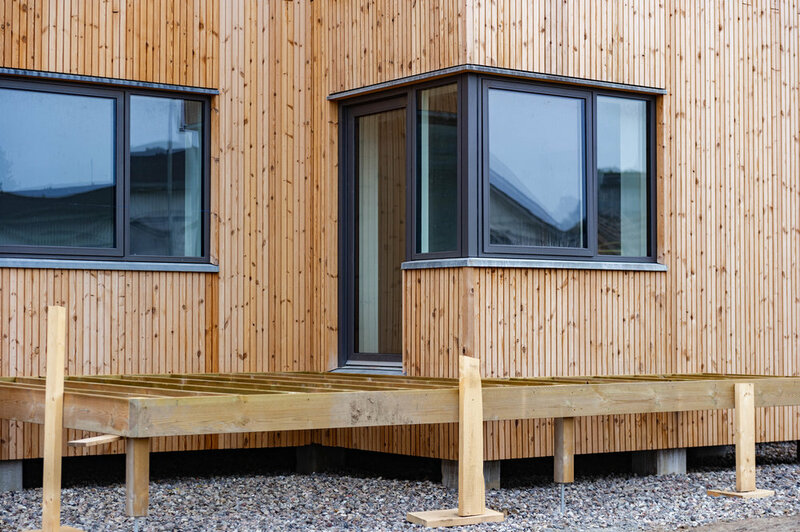 Både formelle som uformelle fællesskaber understøttes af boligernes arkitektur og den udarbejdede bebyggelsesplan. Projektet kan i henhold til DK-DGNB’s evalueringsmatrice certificeres til guld, og herved være et af de absolut første boligbyggerier, der opnår bæredygtighedscertificeringen i Danmark.